An Iranian who claimed he was "abducted" by US spies last year denied upon his arrival in Tehran Thursday that he was a nuclear scientist, but said he was questioned by Israelis during his captivity. 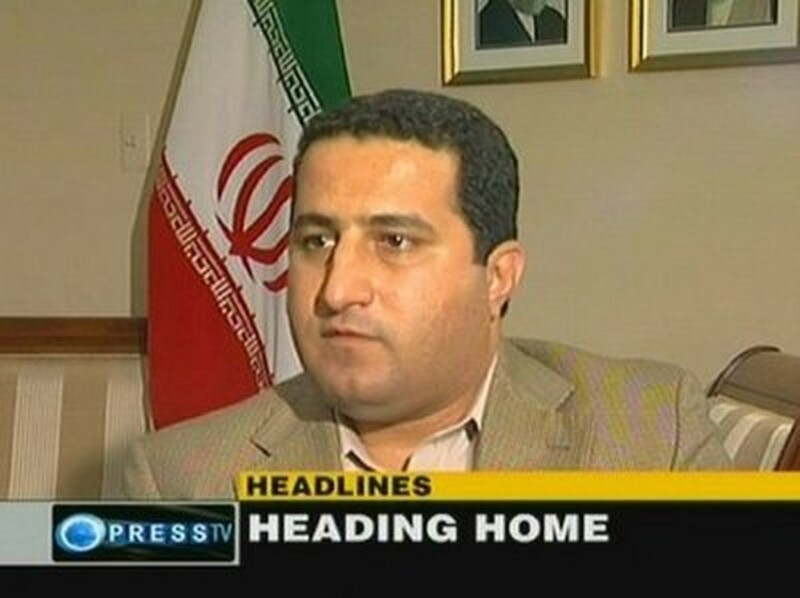 Shahram Amiri, who vanished from Saudi Arabia in June 2009 while on a pilgrimage, arrived in Tehran on Thursday after surfacing in Iran's Interest Section in Washington two days ago. 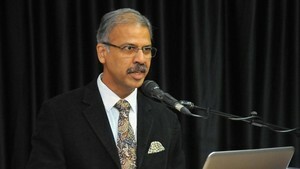 Immediately after his arrival he told reporters that he was just a "simple researcher", refuting earlier claims by Iranian officials that he was a nuclear scientist. "I had nothing to do with Natanz and Fordo sites," Amiri said referring to Iran's two uranium enrichment plants. "It was a tool the US government brought up for political pressure. I have done no research on nuclear. I am a simple researcher who works in a university which is open to all and there is no secret work happening there." Amiri's denial is the latest twist to a bizzare saga which has baffled the world media for months and which began with his mysterious disappearance, followed by conflicting video footages of a man claiming to be Amiri and talking of being abducted. On Thursday, Amiri said during the initial two months of his captivity he was put through the "harshest mental torture". He said his kidnapping was a "psychological warfare against Iran and proving those lies that the US wanted to tell other countries about Iran". Amiri said that during his interrogations, "there were interrogators from Israel present in some sessions and it was evident that they had planned of moving me to Israel". Israel is Iran's key regional foe and has not ruled out a military strike against Tehran to stop its gallopping nuclear programme. Iranian officials claim Amiri was kidnapped by the Central Intelligence Agency of the United States, while US media has reported he defected to Washington. US officials have denied these claims. Amiri told reporters that in due time he would talk and prove his point as certain issues were sensitive and could hurt national interests. He also dismissed US Secretary of State Hillary Clinton's comments that he had freely come to the United States and was free to go whenever he wanted. "I am really amazed by the US foreign minister who says I was free there and went there freely. I was not free there and I was under the control of armed people of the intelligence service," he said. Clinton said on Tuesday there was nothing to stop Amiri from leaving after he had surfaced in Washington. "He's free to go. He was free to come. These decisions are his alone to make," she said. Amiri said US officials had even offered him "50 million dollars" if he changed his mind and decided to stay in the United States. They also assured him they would get his family out of Iran, he said, but added that during his captivity there were "threats issued against my family". Before jetting out of Washington, Amiri gave an interview to Iranian state televisions which was broadcast Wednesday in which he said he had been abducted at gunpoint in Saudi Arabia. He said he had been approached by besuited Farsi-speaking men in a car in the Saudi city of Medina and offered a ride to the mosque. "As I opened the door, one of the passengers pulled out a gun and told me to be quiet. They gave me an injection and when I came around I was in a big plane. I was blindfolded. It was likely a military plane," he said. The speculation over Amiri's mysterious disappearance was further compounded when a man claiming to be him was shown in two different videos on June 7 -- one saying he was kidnapped by US agents and the other that he was studying in Tucson, Arizona. These videos were followed by a third one a few weeks later in which the man said he had escaped from the custody of US spies in Virginia. US officials consistently denied Amiri's kidnapping but on Tuesday Crowley confirmed that Washington had been in touch with him. "The United States government has maintained contact with him," he said, adding that Amiri "has been here for some time, I'm not going to specify for how long." Iranian foreign ministry spokesman Hassan Ghashghavi meanwhile denied Amiri's return would lead to a prisoner swap with the United States. "Amiri's freedom has nothing to do with the (exchange of) Americans," he said referring to three American hikers arrested in Iran when they strayed into the country last year.